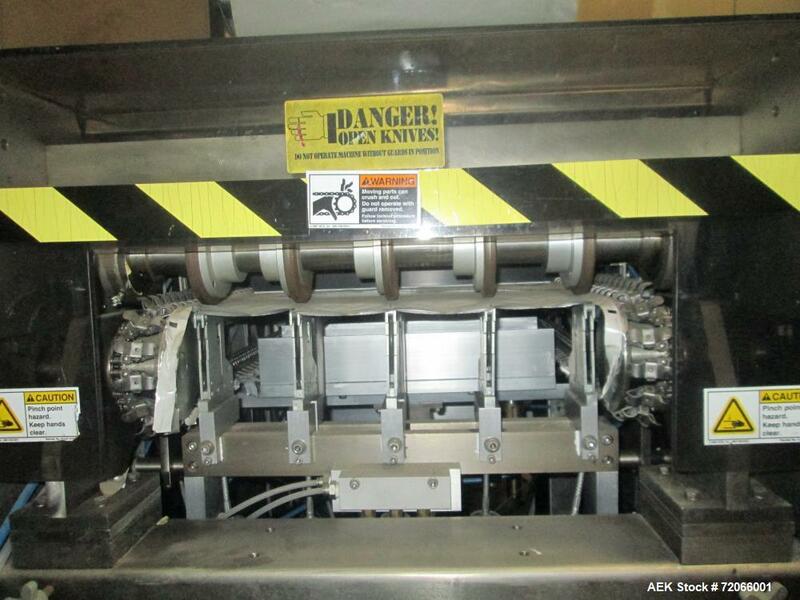 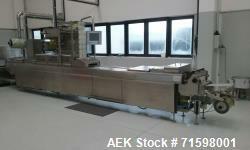 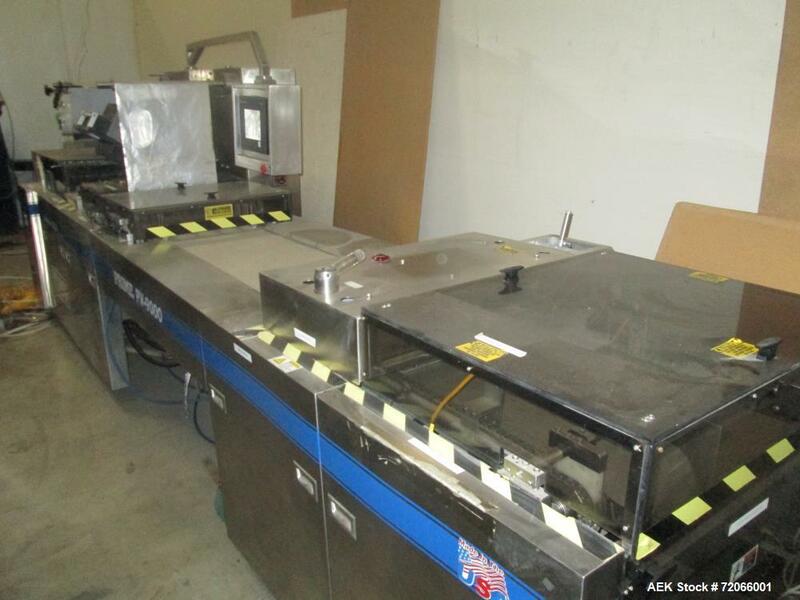 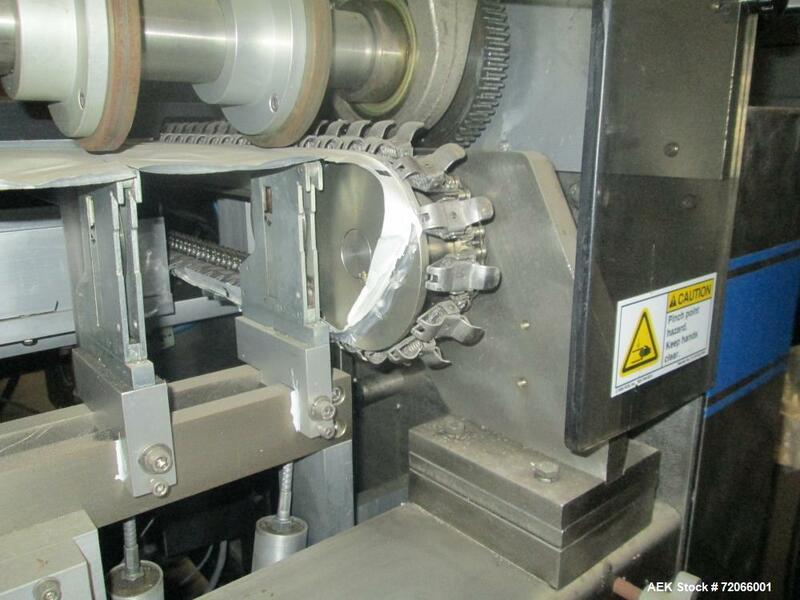 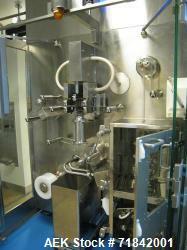 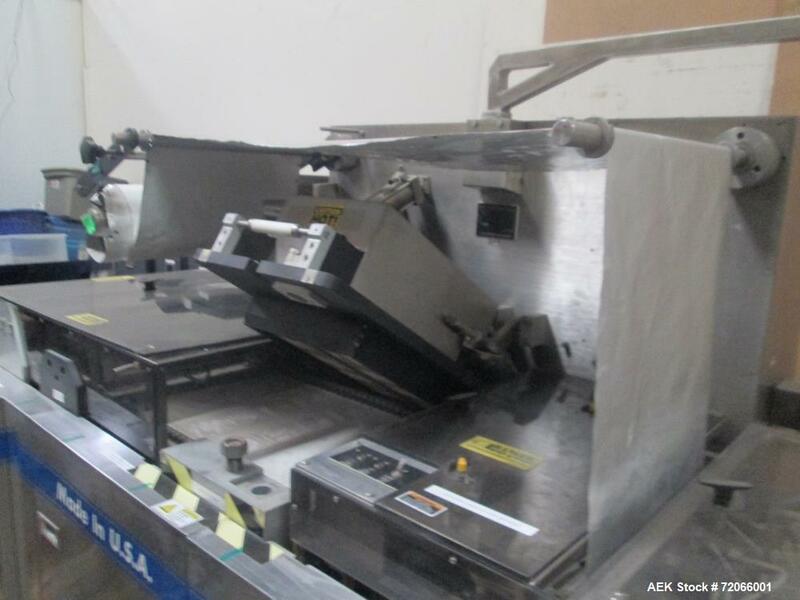 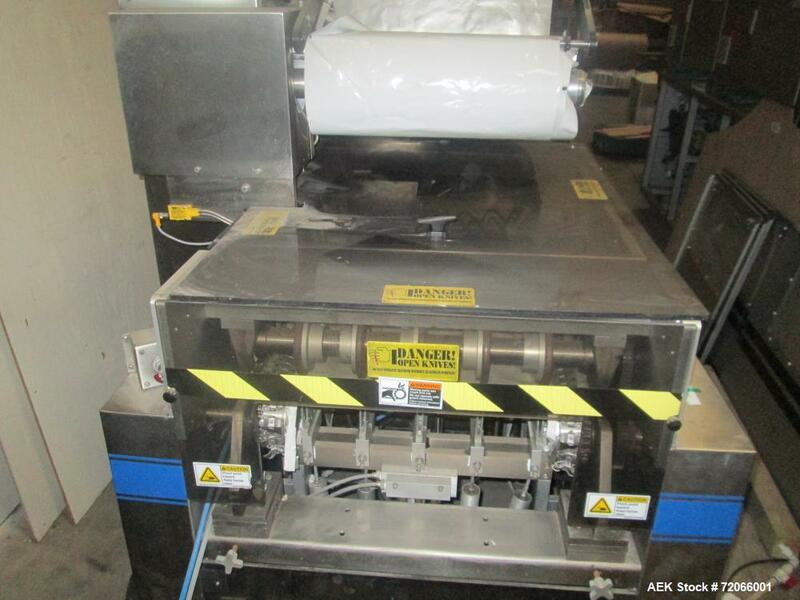 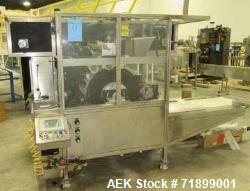 Used Prime Packaging Machine; Model PV-9000; Includes the following: forming web unwind and alignment; package thermoforming station; loading station; missing product detection; bottom web hole punch station; top web unwind station; top web slitting station; vacuum/gas flush/heat sealing station; cross web cutting and machine direction slitting; reject station; good package station; touch screen panelview; trim collection system; recirculating chiller; single stage rotary vacuum pump; air operated grease pump. 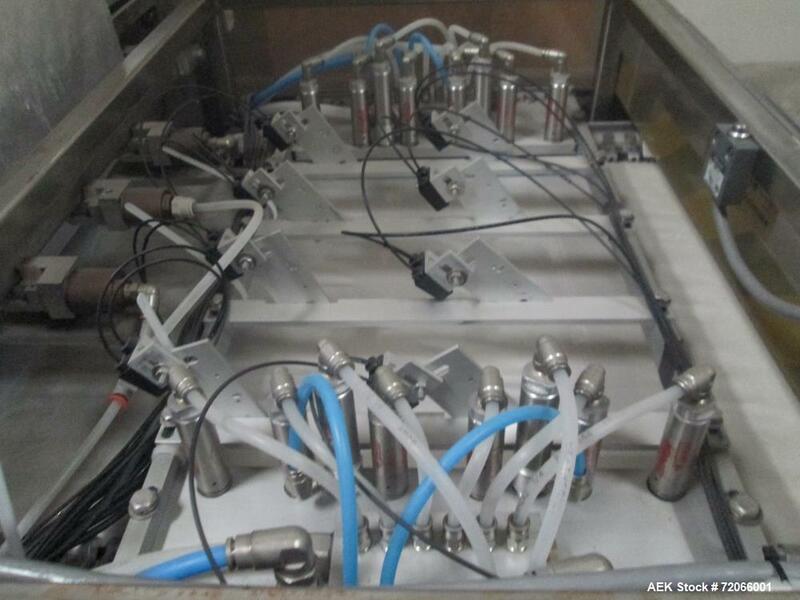 The pneumatic system consists of the pneumatic air cylinders, main pressure regulator, manifold pressure regulators, forming station regulator (brake, spindle, and differential sensors), sealing station regulators, (brake, spindle, etc), slitting station regulators, hole punching pressure regulators, and solenoids (MAC valves). 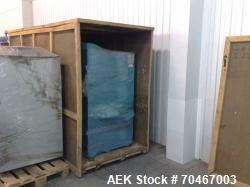 Approximately 19 feet long by 30 inches wide, by 74 inches high.